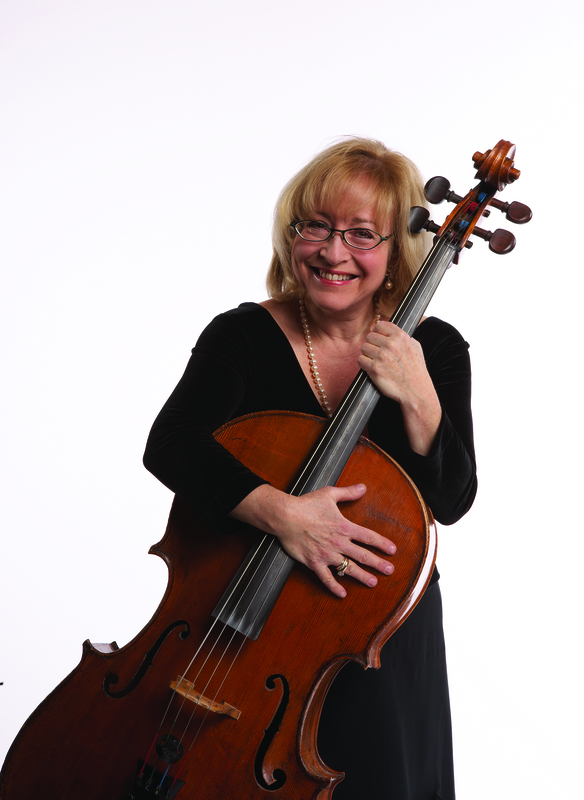 Janet Horvath, the author of the book, Playing Less Hurt has offered up her advice on having manners while in the orchestra. Everyone wants to be successful in the orchestral setting but it doesn’t hurt to remember your manners with your fellow orchestra family. It’s important to keep the environment from becoming toxic and getting along with one another is the first step in doing so. Below are five quick tips to help you along. If you are to be successful in an orchestral setting, you need to have manners— unwritten rules of behavior that will help you become successful in the orchestra family. It’s tough enough that you have to take direction all the time from the conductor and also your section leader. Annoying behavior from colleagues makes the whole workplace toxic. 1. Be prepared. Know your music before the first rehearsal. Sight-reading is a not appreciated by others who have spent hours learning the music. 2. If you’ve borrowed the music be considerate to your stand partner and arrive at the rehearsal early with the music. They might like to glance at a few tough licks. 3. Be in your seat well before the time for tuning. There is nothing worse than having a colleague racing in at the last minute who then jostles the music stand and shuffles chairs to make enough room for him or herself when the conductor is already coming onstage. 4. Agree with your stand partner where you can put a few markings or fingerings, in pencil. Typically in the string section, the person sitting on the outside of the stand will write above the staff and the person sitting on the inside of the stand will write below the staff but keep these to a minimum. The music has to be legible and erasable for performances down the road. 5. Do not talk during the rehearsal unless it’s a direct question to your section leader. Every orchestra has a jokester who chatters a running commentary during the rehearsal. Although it can be funny it is distracting to the other members of the orchestra. 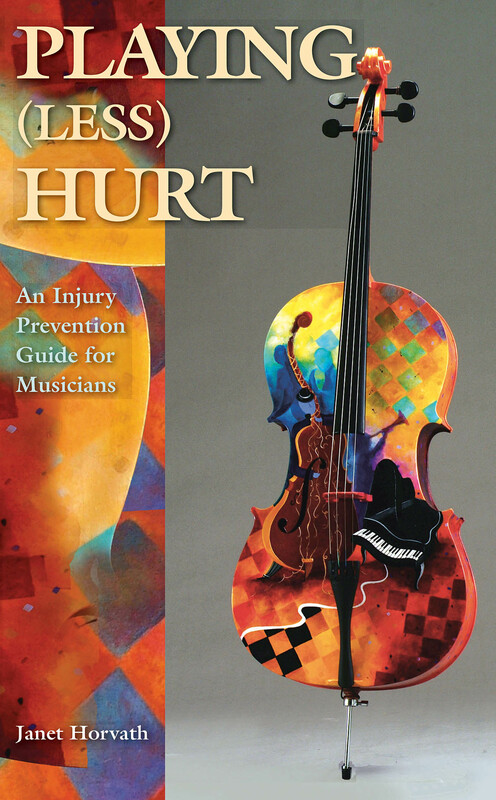 Not only is Janet Horvath the author of Playing (Less) Hurt, a guide to avoiding and healing injuries acquired whilst playing musical instruments, she also writes bright, contemporary and amusing articles about the world of classical music! Janet has kindly let us post some of her articles. Read more from Janet here. #1 how far are we willing to go to achieve reaching out? Can we pursue change without freaking out our musicians and loyal concert attendees? #2 how do we remedy the erroneous expectations and misconceptions regarding attending a performance in a concert hall or opera house? #3 how do we entice more people to classical music concerts when knowledge about, and interest in classical music might be dwindling due to cut backs in music education? There are two camps— those who feel that we have to reach out at all costs to younger audiences and those who steadfastly want to keep the traditions unchanged. There certainly have been some strange goings-on in the classical world of late in both camps! The Seattle Symphony was taken by surprise when a YouTube went viral on Twitter. They, like many symphony orchestras, have been dancing on a trapeze— attempting to keep patrons happy while trying to attract new audiences. Several women were asked to come onstage to dance during a song of Sir Mix-A-Lot with the Seattle Symphony. The short video features a 38-year-old audience member now known as “the lady in the black dress.” Needless to say, it was Ms. Shawn Bound’s first time at the hall leading to millions of views and considerable controversy. A gimmick? A spectacle? Would you see it as fun or shocking? I wonder what the musicians thought. The San Francisco Symphony, Cincinnati Symphony, Indianapolis Symphony, Pacific Symphony and the Dayton Opera have something in common— Tweet seats. Tweeting from a designated section of the concert hall during the performance is a strategy to lure young people to concerts in the hope that it will seem more interactive. (See link below for a conversation about this.) One camp certainly finds this a dastardly distraction. Recently, artistic director of the Bristol Old Vic, Tom Morris, invited the audience to bring their drinks to the front of the stage during an ‘accessible and informal’ performance of Handel’s Messiah saying, “Clap or whoop when you like, and no shushing other people.” American chemist and Royal Society research fellow in London, Dr. David Glowacki, attended the concert but he took the go ahead a step too far by attempting to crowd-surf. I must admit I had to look up the term— crowd surfing, is the process in which a person is passed above everyone’s heads during a concert, with other members of the audience supporting the person’s weight. Attendees were so irritated, that they physically ejected the academic from the performance. Morris claims it is the first such incident at a classical concert since the 18th century. What to do? He is reluctant to re-instate the oftentimes strict rules of concert etiquette, which he hoped to ditch. “The soprano came to the front of the stage stepped out of her dress and began to tear off the metallic-looking strips of duct tape that girded her naked torso— a close-up of what must be one of the most searingly painful and revealing operatic performances in recent times,” wrote The New York Times. Sounds like it! Several orchestras are experimenting with putting large screens onstage for projections. The Minnesota Orchestra recently performed a work by Kevin Puts, his Symphony No. 4,From Mission San Juan, a multimedia installation. Sensing devices and sonic inputs gather live data that triggers visual images specific to this music, which are projected on a backdrop behind the orchestra. A performance was free to the public— part of the Northern Sparks Arts Festival hosted by the University of Minnesota—an overnight of arts exhibits and presentations both inside and out in different venues all over the city. Even my son and his friends were talking about it! There are several artists who are extending the boundaries of their playing, “crossing over” into world music like Yo Yo Ma and the Silk Road Ensemble and more popular music such as Maya Beiser, cellist. Singers Andrea Bocelli and Sarah Brightman, violinist David Garrett, and Stjepan Hauser and Luka Sulić of 2Cellos are the rage. Still there are classical musicians and loyal audiences that feel degraded by the popularization of the art. Starting with the indignation of cell phones ringing in the concert hall and the ongoing subject of the dress code, behavior code, clapping code and maintaining silence code, feathers are ruffled at the slightest deviation from tradition. There has always been a place for experimental music, which at times has caused riotous reactions as far back as Stravinsky’s Rite of Spring premier, but other genres have been able to evolve into contemporary arts. How does classical music shed the label of being stuck in tails in the distant past? This May there was proof that it is possible—even without the gimmicks, technologies and stunts. Washington D.C’s Kennedy Center Concert Hall was packed with all types—young and old, dressed up and dressed down, novices and aficionados. The audience roared with joy after the performance. Arvo Pärt’s music, performed by the superlative Estonian Philharmonic Chamber Choir, and the Tallinn Chamber Orchestra, is proof that contemporary music can be riveting and moving. So it is possible. The two opposing camps can unite. Guest Blogger: Janet Horvath, author of Playing Less Hurt. Below is an excerpt from her blog on Interlude. I was smitten from the first moment. Finding an instrument is like finding your soul mate — you know it instantly. I decided to start at the top — why not? I happily traipsed to the famed dealership Jacques Français known to have the best selection of quality instruments. He was elegantly French — over six feet tall, impeccably dressed and haughty. A vast carpeted showroom appeared before me. The walls were lined with instruments and virtually all the small rooms to try them were filled to overflowing. Well that didn’t stop me. I introduced myself unabashedly to Mr. Français saying I wanted to try cellos — telling him a price-range that was higher than my parents intended. Français brought me several cellos. I grabbed a chair, parked myself in the enormous anteroom and started to play. The place was packed — what else could I do? The first instrument I tried — Italian, honey colored, with a rich golden tone to match — was the one. Playing Less Hurt addresses this need with specific tools to avoid and alleviate injury. Impressively researched, the book is invaluable not only to musicians, but also to the coaches and medical professionals who work with them. Everyone from dentists to orthopedists, audiologists to neurologists, massage therapists and trainers will benefit from Janet Horvath’s coherent account of the physiology and psyche of a practicing musician. Writing with knowledge, sympathetic insight, humor, and aplomb, Horvath has created an essential resource for all musicians who want to play better and feel better. Guest Blogger: Janet Horvath, author of Playing Less Hurt. Below is an excerpt from her post at Interlude, detailing her experience at the Palais Garnier in Paris. The atmosphere was electric! We were at Paris’s Palais Garnier to attend a ballet performance just five days before the one-hundredth anniversary of the riot surrounding the premiere of Igor Stravinsky’s Rite of Spring in May of 1913. To top that off, we would be seeing another world-famous work of Stravinsky — The Firebird —music that I had played countless times but had never seen danced. The excitement was palpable. To be where the ghosts of performances and premieres past was quite a privilege. The Palais, considered one of the most famous opera houses in the world, is breathtaking. It is one of the historic emblems of Paris. The architect, Charles Garnier, was chosen to design the astonishing opera house by Emperor Napoleon III in 1861. The interior of the hall is entirely gold and marble with deep burgundy seating. The balconies and pillars are exquisitely crafted and decorated with elaborate multicolored marble friezes, columns, and lavish statuary, some of which portray deities of Greek mythology, as well as gilded bronze busts of many of the great composers. The dome ceiling took my breath away— a huge colorful fresco painted in 1964 by Marc Chagall depicting scenes from the operas of 14 composers. A gold border and small lights outline the painting. From the center hangs an immense 7-ton bronze and crystal chandelier designed by Garnier. It was difficult to stop craning our necks to look at the ceiling. Just being in this historic theater was a feast for the senses and the performance had yet to begin! Guest Blogger: Janet Horvath, author of Playing Less Hurt. Below is an excerpt from her blog, at Interlude. Although hunger is stalking the arts in Paris today, one cannot help feel the drive and persistence of Parisians to get back on their feet again. The French are remarkable despite war, enemy occupation, severe rationing and hunger, they take great pride in their outstanding cultural achievements. Call it escapism if you will, but to those who know the French people it seems rather indigenous courage and determination to preserve their culture and way of life, despite all handicaps. Artistically, Paris is now as brilliant as ever. True, musical and artistic organizations have suffered somewhat in quality, but they still manage to turn out an almost perfect product even in 1946. Top-notch Jewish performers were ousted during the war from their posts with orchestras and ballets, and afterward, artists were forced to leave because of their collaboration during the occupation. Of those who remain, besides endeavoring to do first class artistic work, many are forced to seek other employment in order to maintain a living wage. Rehearsal hours are short and inadequate in number, but these dedicated artists take it in stride. Despite everything, Paris can boast five first-rate symphony orchestras, two grand opera companies and one of the finest ballet companies in the world. Concert halls and opera houses are packed every night with enthusiastic audiences. Of course people are starved not only for bread but beauty. Guest Blogger: Janet Horvath, author of Playing Less Hurt, talks about some famous (or infamous) conductors on her blog. To finish reading the article, go to Janet Horvath’s blog at Interlude! Guest Blogger: Janet Horvath, author of Playing Less Hurt. Below is an excerpt from her music blog, Interlude. Making music at any level is a powerful gift. While musicians have endless resources for learning the basics of their instruments and the theory of music, few books have explored the other subtleties and complexities that musicians face in their quest to play with ease and skill. The demands of solitary practice, hectic rehearsal schedules, challenging repertoire, performance pressures, awkward postures, and other physical strains have left a trail of injured, hearing-impaired, and frustrated musicians who have had few resources to guide them. Playing Less Hurt addresses this need with specific tools to avoid and alleviate injury. Impressively researched, the book is invaluable not only to musicians, but also to the coaches and medical professionals who work with them. Everyone from dentists to orthopedists, audiologists to neurologists, massage therapists and trainers will benefit from Janet Horvath’s coherent account of the physiology and psyche of a practicing musician. Writing with knowledge, sympathetic insight, humor, and aplomb, Horvath has created an essential resource for all musicians who want to play better and feel better. Guest Blogger: Janet Horvath, author of Playing Less Hurt. 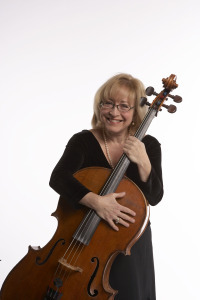 Read more about cello envy on her blog at Interlude. The demeanor of the cello is complex and varied. The room resonates with the low baritone counterpoint notes; sears the soul with amorous melodies. The cello can dazzle with virtuosic flights of fancy in its uppermost range. The cello soothes and inspires; stirs and arouses. Our playing position is quite natural. We don’t have to contort our bodies to play the cello — not like poor violinists who must unnaturally twist their left arms, and on top of that, hold the instrument under their chins. Other performers have cello envy. They even steal our repertoire. It is not unusual to hear the Bach Solo Cello Suites on — heaven forbid — the trombone, or The Swan, from the Carnival of the Animals by Camille Saint-Saens on the double bass. (Shouldn’t they just stick to The Elephant?) The piccolo player must play shrill high passages; some people snicker at the bassoon players — leaving so bassoon? If your electronic device goes off you will be forced to play the bassoon! The violists are typically relegated to play the oomm- pah-pah of a piece of music and other boring accompaniment figures. Rarely does a composer throw them a bone — a short melody once in a while. Viola players are the brunt of jokes too — How is lightning like a violist’s fingers? Neither one strikes in the same place twice. And pity the pianist who has to learn a vast repertoire of music, performing entirely from memory. Guest Blogger: Janet Horvath is the author of Playing Less Hurt. Here is an excerpt from her blog on Interlude. Music lovers and musicians adore the music of Frenchman Maurice Ravel. Whether it’s his moving Pavane for a Dead Princess or his more esoteric String Quartet, his colorful orchestral work La Valse or his dazzling piano concertos (one of which is for the left hand only), he was considered an innovative and inventive composer of the impressionist period along with his co-patriots Debussy and Fauré. One of his most famous pieces is Boléro — a one-movement orchestral piece. Ravel originally composed the work as a ballet commissioned by the Russian ballerina Ida Rubinstein. Ravel decided to try something new and controversial with this piece —to use one insistent melody with a recurring incessant rhythm. The première at the Paris Opéra in 1928 was a sensation. Choreographed by Nijinska, a gypsy dances on a table surrounded by men in an inn in Spain — a stunning and seductive theatrical experience. Choreographer Maurice Béjart’s “Bolero” is one of his most well-known and popular ballets. In 1979 he decided to have a man dance the central character surrounded by women. There is a third version consisting of all men. The impact of the work is quite different as the gender changes. Boléro is frequently performed as an orchestral piece. Boléro’s hypnotic snare drum beat and inexorable climax never fails to bring the house down. How does Ravel achieve this with merely one melody and one continuous rhythm? Guest Blogger: Janet Horvath is the author of Playing Less Hurt. Here is an excerpt of her article on David Popper at Interlude. Composer and cellist David Popper is well known among cellists. His High School of Cello Playing is our Bible—40 Études comprising every acrobatic feat of cello pyrotechnics. Popper was born among the narrow streets of the Jewish ghetto of Prague, Czechoslovakia June 16, 1843. David was five years old when in 1848 the Hapsburg emperor granted civil equality to the Jews and their isolation in the ghetto ended. The gloomy, unhealthy homes of the ghetto made a lasting impression on Popper despite the fact that most of his music is cheery and uplifting. The family was able to move out of the area when Popper was eight years old. By then employment restrictions had been lifted and some trades were permitted, as was being a musician. In December of 1862 Popper was bestowed the coveted title of “Kammervirtuoso” by Prince Constantine Hohenzollern-Hechingen. In appreciation, Popper composed a series of pieces that are among his most cherished works Arlequin and Papillon from the Six Character Pieces. Conductor Hans von Bülow, heard Popper perform and was so impressed with the young man that he helped arrange a concert tour for Popper, his first, in 1863. As a solo cellist Popper had the opportunity to try his own compositions as well as to perform the major works for cello and orchestra. He was always dedicated to the music of his time, premiering several new cello concertos. Find out more about David Popper on Janet Horvath’s blog!